Recent Arrival! RAV4 Hybrid XLE 4D Sport Utility 2.5L 4-Cylinder AWD eCVT Silver Sky Metallic 6 Speakers, 8-Way Power Driver Seat, Automatic temperature control, Blind spot sensor: Blind Spot Monitor (BSM) warning, Brake assist, Convenience Package, Distance-Pacing Cruise Control, Dual front impact airbags, Emergency communication system: Safety Connect, Exterior Parking Camera Rear, Fabric Seat Trim (FA), Front anti-roll bar, Front Door Smart Key System, Front dual zone A/C, Front fog lights, Front Seat Heating, Fully automatic headlights, Heated door mirrors, Illuminated entry, Panic alarm, Power moonroof, Radio: Entune Audio w/App Suite, Remote keyless entry, Speed-sensing steering, Traction control. 41/38 City/Highway MPG Stop by Peoria Toyota today at 7401 N Allen Rd, Peoria, IL 61614 to schedule a test drive or give us a call at 309-693-7000 to make an appointment. To view all available inventory please visit www.peoriatoyota.com. Recent Arrival! RAV4 Hybrid Limited 4D Sport Utility 2.5L 4-Cylinder AWD eCVT Blizzard Pearl 6 Speakers, AM/FM radio: SiriusXM, Automatic temperature control, Blind spot sensor: Blind Spot Monitor (BSM) warning, Brake assist, Distance-Pacing Cruise Control, Dual front impact airbags, Emergency communication system: Safety Connect, Exterior Parking Camera Rear, Front anti-roll bar, Front dual zone A/C, Front fog lights, Fully automatic headlights, Garage door transmitter: HomeLink, Heated door mirrors, Heated Front Seats, Illuminated entry, Memory seat, Navigation System, Power moonroof, Radio: Entune 3.0 Premium Audio w/Navigation, Remote keyless entry, Security system, SofTex Seat Trim, Speed-sensing steering, Traction control, Variably intermittent wipers. 41/38 City/Highway MPG Stop by Peoria Toyota today at 7401 N Allen Rd, Peoria, IL 61614 to schedule a test drive or give us a call at 309-693-7000 to make an appointment. To view all available inventory please visit www.peoriatoyota.com. Recent Arrival! RAV4 Hybrid Limited 4D Sport Utility 2.5L 4-Cylinder AWD eCVT Midnight Black Metallic 6 Speakers, Automatic temperature control, Blind spot sensor: Blind Spot Monitor (BSM) warning, Brake assist, Distance-Pacing Cruise Control, Dual front impact airbags, Emergency communication system: Safety Connect, Exterior Parking Camera Rear, Front anti-roll bar, Front dual zone A/C, Front fog lights, Fully automatic headlights, Garage door transmitter: HomeLink, Heated 3-Spoke Leather Steering Wheel, Heated door mirrors, Heated Front Seats, Illuminated entry, Limited Grade Weather Package, Memory seat, Navigation System, Power moonroof, Radio: Entune 3.0 Premium Audio w/Navigation, Rain Sensing Front Wipers, Rear Outboard Seat Heating, Remote keyless entry, Security system, SofTex Seat Trim, Speed-sensing steering, Traction control. 41/38 City/Highway MPG Stop by Peoria Toyota today at 7401 N Allen Rd, Peoria, IL 61614 to schedule a test drive or give us a call at 309-693-7000 to make an appointment. To view all available inventory please visit www.peoriatoyota.com. Highlander Hybrid XLE 4D Sport Utility 3.5L V6 DOHC 24V AWD eCVT Shoreline Blue Pearl 6 Speakers, All Weather Floor Liners, All-Weather Floor Liner Package (TMS), AM/FM radio: SiriusXM, Auto-dimming Rear-View mirror, Automatic temperature control, Blind spot sensor: Blind Spot Monitor (BSM) warning, Brake assist, Cargo Liner, Delay-off headlights, Distance pacing cruise control: Dynamic Radar Cruise Control (DRCC), Dual front impact airbags, Exterior Parking Camera Rear, Front anti-roll bar, Front dual zone A/C, Front fog lights, Fully automatic headlights, Garage door transmitter: HomeLink, Heated door mirrors, Heated Front Bucket Seats, Illuminated entry, Leather Seat Trim, Navigation System, Power moonroof, Radio: Entune Premium Audio w/Nav & App Suite, Remote keyless entry, Security system, Sun blinds, Traction control. 29/27 City/Highway MPG Stop by Peoria Toyota today at 7401 N Allen Rd, Peoria, IL 61614 to schedule a test drive or give us a call at 309-693-7000 to make an appointment. To view all available inventory please visit www.peoriatoyota.com. Recent Arrival! Highlander Hybrid XLE 4D Sport Utility 3.5L V6 DOHC 24V AWD eCVT Midnight Black Metallic 6 Speakers, All Weather Floor Liners, All-Weather Floor Liner Package (TMS), AM/FM radio: SiriusXM, Auto-dimming Rear-View mirror, Automatic temperature control, Blind spot sensor: Blind Spot Monitor (BSM) warning, Brake assist, Cargo Liner, Distance pacing cruise control: Dynamic Radar Cruise Control (DRCC), Dual front impact airbags, Exterior Parking Camera Rear, Front anti-roll bar, Front dual zone A/C, Front fog lights, Fully automatic headlights, Garage door transmitter: HomeLink, Heated door mirrors, Heated Front Bucket Seats, Illuminated entry, Leather Seat Trim, Navigation System, Power moonroof, Radio: Entune Premium Audio w/Nav & App Suite, Remote keyless entry, Security system, Speed-sensing steering, Sun blinds, Traction control. 29/27 City/Highway MPG Stop by Peoria Toyota today at 7401 N Allen Rd, Peoria, IL 61614 to schedule a test drive or give us a call at 309-693-7000 to make an appointment. To view all available inventory please visit www.peoriatoyota.com. Highlander Hybrid Limited 4D Sport Utility 3.5L V6 DOHC 24V AWD eCVT Predawn Gray Mica 12 Speakers, 3rd row seats: split-bench, ABS brakes, Active Cruise Control, Alloy wheels, AM/FM radio: SiriusXM, Auto-dimming Rear-View mirror, Blind spot sensor: Blind Spot Monitor (BSM) warning, Brake assist, Distance pacing cruise control: Dynamic Radar Cruise Control (DRCC), Electronic Stability Control, Exterior Parking Camera Rear, Front dual zone A/C, Front fog lights, Fully automatic headlights, Garage door transmitter: HomeLink, Heated door mirrors, Heated/Ventilated Front Bucket Seats, Illuminated entry, Low tire pressure warning, Memory seat, Navigation System, Perforated Leather Seat Trim, Power Liftgate, Power moonroof, Radio: Entune Premium JBL Audio w/Nav & App Suite, Rear Parking Sensors, Remote keyless entry, Security system, Speed-sensing steering, Sun blinds, Traction control. 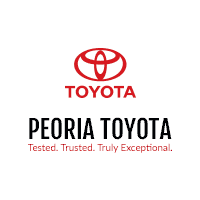 Stop by Peoria Toyota today at 7401 N Allen Rd, Peoria, IL 61614 to schedule a test drive or give us a call at 309-693-7000 to make an appointment. To view all available inventory please visit www.peoriatoyota.com. Highlander Hybrid Limited Platinum 4D Sport Utility 3.5L V6 DOHC 24V AWD eCVT Ooh La La Rouge Mica 12 Speakers, 3rd row seats: split-bench, ABS brakes, Active Cruise Control, AM/FM radio: SiriusXM, Auto-dimming Rear-View mirror, Blind spot sensor: Blind Spot Monitor (BSM) warning, Brake assist, Distance pacing cruise control: Dynamic Radar Cruise Control (DRCC), Dual front impact airbags, Electronic Stability Control, Emergency communication system: Safety Connect, Front anti-roll bar, Front dual zone A/C, Garage door transmitter: HomeLink, Heated door mirrors, Heated front seats, Heated Perforated Leather 2nd Row Captain Chairs, Heated rear seats, Heated steering wheel, Heated/Ventilated Front Bucket Seats, Illuminated entry, Low tire pressure warning, Memory seat, Navigation System, Perforated Leather Seat Trim, Power Liftgate, Power moonroof, Radio: Entune Premium JBL Audio w/Nav & App Suite, Rain sensing wipers, Remote keyless entry, Safety Connect, Security system, Speed-sensing steering, Sun blinds, Traction control. Stop by Peoria Toyota today at 7401 N Allen Rd, Peoria, IL 61614 to schedule a test drive or give us a call at 309-693-7000 to make an appointment. To view all available inventory please visit www.peoriatoyota.com. Highlander Hybrid Limited Platinum 4D Sport Utility 3.5L V6 DOHC 24V AWD eCVT Shoreline Blue Pearl 12 Speakers, All-Weather Floor Liner Package (TMS), AM/FM radio: SiriusXM, Auto-dimming Rear-View mirror, Automatic temperature control, Blind spot sensor: Blind Spot Monitor (BSM) warning, Brake assist, Cargo Liner, Distance pacing cruise control: Dynamic Radar Cruise Control (DRCC), Dual front impact airbags, Emergency communication system: Safety Connect, Exterior Parking Camera Rear, Front anti-roll bar, Front dual zone A/C, Front fog lights, Fully automatic headlights, Garage door transmitter: HomeLink, Heated door mirrors, Heated Perforated Leather 2nd Row Captain Chairs, Heated steering wheel, Heated/Ventilated Front Bucket Seats, Illuminated entry, Limited Platinum Package, Memory seat, Navigation System, Panoramic Moonroof, Panoramic View Monitor, Perforated Leather Seat Trim, Radio: Entune Premium JBL Audio w/Nav & App Suite, Rain sensing wipers, Remote keyless entry, Safety Connect, Security system, Speed-sensing steering, Sun blinds, Traction control. 29/27 City/Highway MPG Stop by Peoria Toyota today at 7401 N Allen Rd, Peoria, IL 61614 to schedule a test drive or give us a call at 309-693-7000 to make an appointment. To view all available inventory please visit www.peoriatoyota.com. Highlander Hybrid Limited Platinum 4D Sport Utility 3.5L V6 DOHC 24V AWD eCVT Predawn Gray Mica 12 Speakers, 3rd row seats: split-bench, All Weather Floor Liners, All-Weather Floor Liner Package (TMS), AM/FM radio: SiriusXM, Auto-dimming Rear-View mirror, Blind spot sensor: Blind Spot Monitor (BSM) warning, Brake assist, Cargo Liner, Distance pacing cruise control: Dynamic Radar Cruise Control (DRCC), Dual front impact airbags, Emergency communication system: Safety Connect, Exterior Parking Camera Rear, Front anti-roll bar, Front dual zone A/C, Front fog lights, Fully automatic headlights, Garage door transmitter: HomeLink, Heated door mirrors, Heated Perforated Leather 2nd Row Captain Chairs, Heated steering wheel, Heated/Ventilated Front Bucket Seats, Illuminated entry, Limited Platinum Package, Memory seat, Navigation System, Panoramic Moonroof, Panoramic View Monitor, Perforated Leather Seat Trim, Radio: Entune Premium JBL Audio w/Nav & App Suite, Rain sensing wipers, Rear air conditioning, Remote keyless entry, Safety Connect, Security system, Speed-sensing steering, Sun blinds, Traction control. 29/27 City/Highway MPG Stop by Peoria Toyota today at 7401 N Allen Rd, Peoria, IL 61614 to schedule a test drive or give us a call at 309-693-7000 to make an appointment. To view all available inventory please visit www.peoriatoyota.com. Highlander Hybrid Limited Platinum 4D Sport Utility 3.5L V6 DOHC 24V AWD eCVT Blizzard Pearl 12 Speakers, All Weather Floor Liners, All-Weather Floor Liner Package (TMS), AM/FM radio: SiriusXM, Auto-dimming Rear-View mirror, Automatic temperature control, Blind spot sensor: Blind Spot Monitor (BSM) warning, Brake assist, Cargo Liner, Distance pacing cruise control: Dynamic Radar Cruise Control (DRCC), Dual front impact airbags, Emergency communication system: Safety Connect, Exterior Parking Camera Rear, Front anti-roll bar, Front dual zone A/C, Front fog lights, Fully automatic headlights, Garage door transmitter: HomeLink, Heated door mirrors, Heated Perforated Leather 2nd Row Captain Chairs, Heated steering wheel, Heated/Ventilated Front Bucket Seats, Illuminated entry, Limited Platinum Package, Memory seat, Navigation System, Panoramic Moonroof, Panoramic View Monitor, Perforated Leather Seat Trim, Radio: Entune Premium JBL Audio w/Nav & App Suite, Rain sensing wipers, Remote keyless entry, Safety Connect, Security system, Speed-sensing steering, Sun blinds, Traction control. 29/27 City/Highway MPG Stop by Peoria Toyota today at 7401 N Allen Rd, Peoria, IL 61614 to schedule a test drive or give us a call at 309-693-7000 to make an appointment. To view all available inventory please visit www.peoriatoyota.com.